Get a Santa Clara County Traffic Ticket? You Can Beat It! Did You Get a Ticket in Santa Clara County, California? You can fight Santa Clara traffic tickets by getting them dismissed much easier than you may think. In Santa Clara, California, drivers are allowed to contest a traffic ticket using a Trial by Written Declaration. This is best way to fight a traffic ticket without going to an Santa Clara courthouse or hiring an expensive Santa Clara traffic ticket lawyer. We have found this to be the best way to contest a California traffic ticket, period. This option is available to every driver who receives a traffic ticket in Santa Clara, California. In fact, if you turn over your traffic ticket you will see that a Trial by Written Declaration is listed right on the back of your ticket as one way to fight it. This process has been around since 1978 to avoid having to pay traffic ticket fines. TicketBust has been helping California drivers prepare Trial by Written Declaration’s for over 14 years. In fact, tens of thousands of vehicle tickets in California have been contested using our system. We are the original traffic ticket fighter and the TicketBust system has been developed specifically to prepare all your documents properly based on how you answer a few questions. This way you can fight your ticket, knowing you have maximized your chances of having the court dismiss your Santa Clara County traffic ticket. TicketBust service will prepare your full defense package for you, which includes your Trial by Written Declaration and all the defense documents required by Santa Clara traffic court. Fill out the yellow form to fight your Santa Clara traffic ticket now! Did you know that you aren’t allowed to pass the white limit line when you are stopped at an intersection? From our experience, this can be a common ticket issued in the county of Santa Clara, so be on the lookout and stay behind that solid white line. If you find yourself having received a traffic ticket in Santa Clara, give us a call or fill out our form to see how we can help! The original inhabitants of the area were the Ohlone people residing near Coyote and Calaveras creeks. 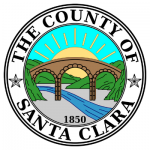 In 1850, when California gained statehood, Santa Clara County became one of the original counties in the state. Later, in 1853, a portion of the county was allocated to Alameda County, but the territory lines have remained the same ever since. The area’s first major technology company, Hewlett-Packard was founded in 1939. Since that time, early innovators of technology have flocked to the area and today, Santa Clara County is the headquarters for approximately 6500 tech companies. The term “Silicon Valley” was coined in 1971 referring to the number of silicon chip innovators and manufactures in the region, and is now considered a global economic center for technology. Silicon Valley has the third highest GDP per capita in the world and is one of the most affluent areas in the United States. Santa Clara County borders Santa Cruz, San Mateo, Alameda, Stanislaus, Merced, and San Benito counties and stretches over a total of 1,304 square miles. The San Andreas Fault runs along the Santa Cruz Mountains in the southwest of the county. 1.938 million people reside in Santa Clara county and many more drive into the county each day to work at one of the many tech companies, including IBM, AMD, Cisco Systems, Intel, Apple, eBay, Google, and Yahoo!. Visitors can tour the Intel Museum and learn how computer chips are designed, or visit the Mission Stanta Clara de Asis, one of California’s missions. Residents and visitors alike enjoy attending major league soccer games and rooting on the Earthquakes, the hometown team, or catching a game by one of the numerous Santa Clara University teams.